Ok that post tittle will only make sense to PTI fans lol! Ahhhh Friday night. Kids in bed, a little glass of fruity wine and some crafty time- pretty close to perfect!! 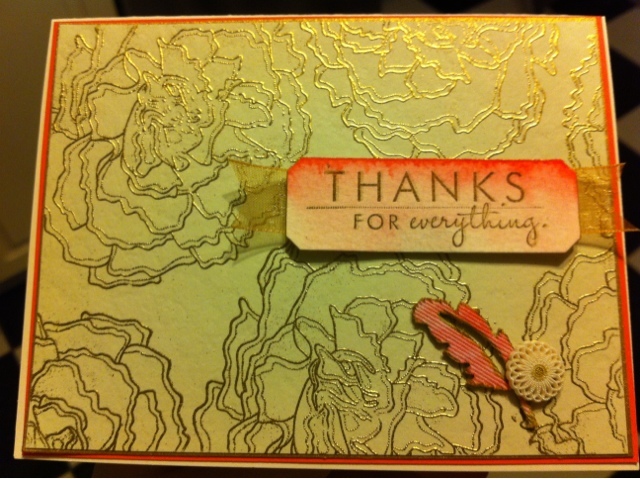 This card was inspired by some beautiful wallpaper, and Kara's recent watercolor stationery. 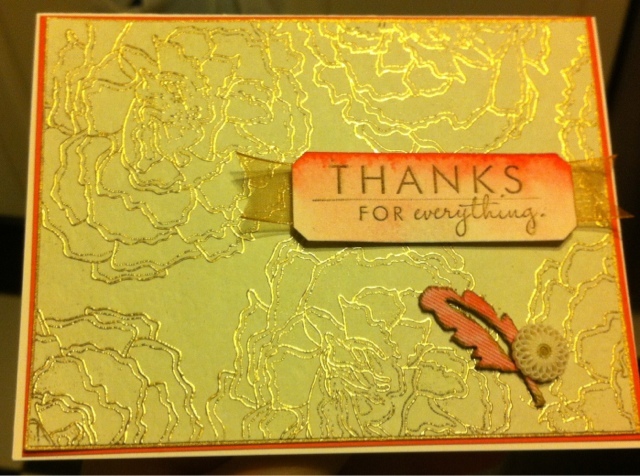 I stamped and embossed YOF carnation into some textured cream stock. Water coloured the label with worn lipstick distress ink and outlined it with my signo uniball gold pen. 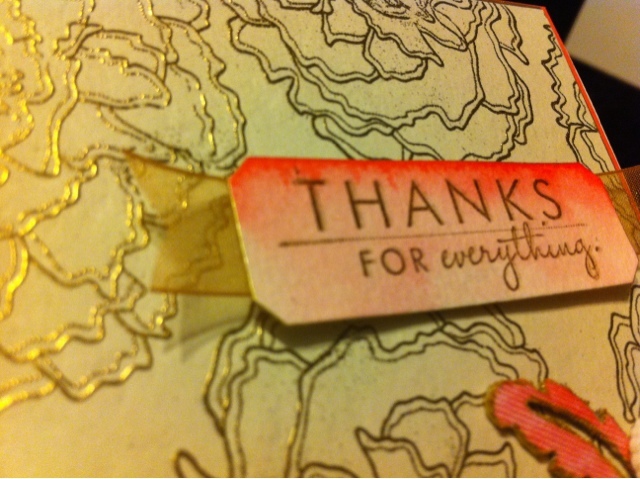 Some little embelishments, and a sentiment from YOF violets. This was a lot of fun to make. Thanks for the cool technique Kara!!! Beautiful results! Wish I could join you for some of that 'fruity wine'.